Assembly automation has evolved multi-fold since Ford’s first linear assembly plant. 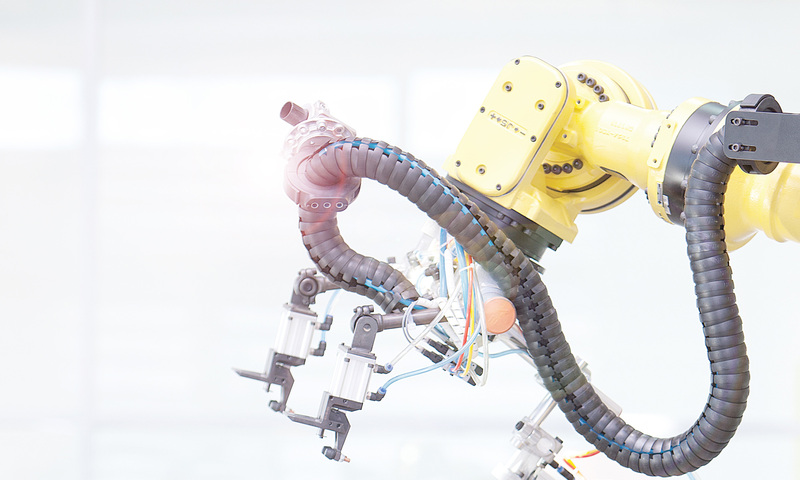 Assembly automation is of course commonly found in Automotive or heavy industries but it has found its way in small parts assembly, consumer goods and other industries that are embracing automation full on. Typically, in assembly automation, pallets of sub-assemblies travel along the conveyor maze making stops at various stations to get further components and assemblies put on or some kind of operation is being performed on them. Several times, inspection, measurement or other process specifics demand sensors and actuators to be on-board these pallets. A very common challenge people face in this environment is to provide power and communicate with this traveling assembly. 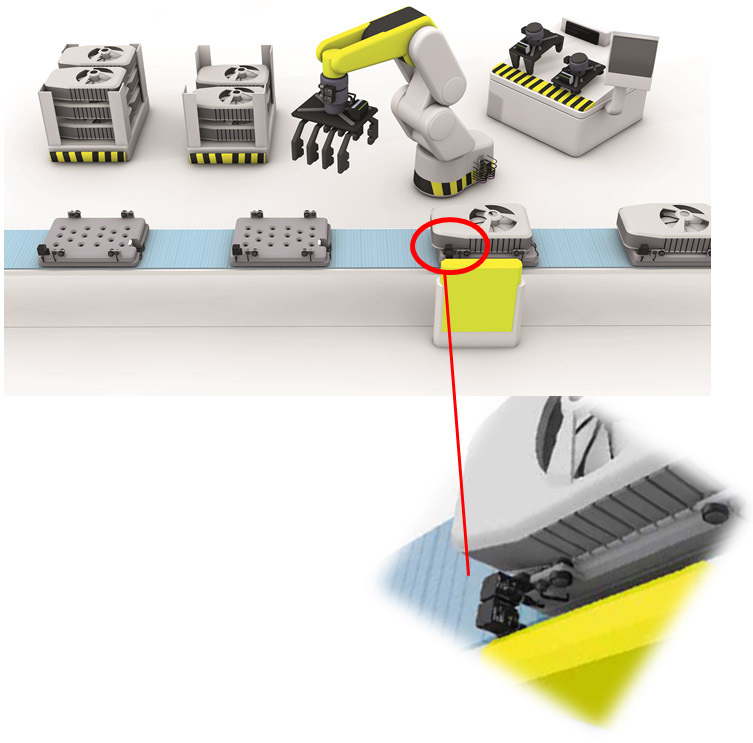 Pin based automatic couplers and/ or manual intervention is common solution. As explained in my previous blog “Inductive Coupling for Robotic End Effectors” the pin based coupling has downfall of being susceptible to environmental elements and mechanical wear. Thus, offering a solution that requires some regular maintenance and related downtime. Manual intervention for inspection or measurement is of course time consuming and laborious activity. Because of magnetic induction phenomenon, these non-contact couplers are immune to dust, humidity, oil or vibrations, unlike the pin based couplers. Misalignment tolerance: Inductive couplers do not need to be in exact axial or angular alignment. They can tolerate angular or axial offsets. The amount of offset they can tolerate depends on the particulars but typically 10-20° angular offset is acceptable. So over-time when the conveyor system develops some slag, the inductive couplers won’t fail you that easily. Scalability: Inductive couplers come in various form factors and functionality that includes Power-only, input only, analog, configurable channels of inputs and outputs, and with IO-Link bi-directional communication. IO-Link inductive couplers offer the greatest benefits as they allow exchanging up to 32bytes of data bi-directionally- so in future if the I/O needs grow for your pallets, it can be easily handled. You can always learn more about inductive couplers on Balluff’s website at www.balluff.us. You can also learn more in our Basics overview. Shishir Rege is a Technical Sales Specialist, Controls Architectures at Balluff Inc. He brings over 19 years of experience in applying robotics and industrial automation technologies in diverse industries including automotive, packaging, aerospace, and medical. Shishir enjoys sharing his knowledge and passion for automation to solve today's automation challenges.